Cystic fibrosis is a genetic disorder that’s caused by mutations in the CFTR (Cystic Fibrosis Transmembrane Regulator) gene. A quick look at the function and purpose of the CFTR gene can help you understand what causes cystic fibrosis. A mutation of the CFTR gene is what causes cystic fibrosis, and it leads to degrading lung function early in childhood. The CFTR gene is located on chromosome 7. The normal function of this gene is to produce the necessary proteins that are found in the epithelial cells, which line the internal parts of the lungs, pancreas, genitor urinary tract, and colon. The protein helps move the negatively charged chloride ions in and out of the cell through the cell membrane. In individuals with cystic fibrosis, the movement of chloride ions is disrupted, and this causes the cells to produce an abnormal amount of mucus, affecting the supply of water. Because of the lack of water supply to the cells, the excessive mucus produced is not washed away. This makes the mucus thick and sticky, in turn blocking and inflaming the sensory glands. All these developments finally injure the tissues of the body, causing the symptoms of cystic fibrosis. In about 70-80% of individuals with cystic fibrosis, the main cause is the production of an abnormal protein called deltaF508 CFTR, which results due to the deletion of 3 nucleotides in the CFTR gene. In the remaining 20-30% of the cases, cystic fibrosis might be caused by other mutations in the CFTR gene that make abnormal protein. However, the severity of the disease depends on the mutation in the gene and the type of protein produced by the defective CFTR gene. This genetic disorder is inherited in an autosomal recessive manner. If both the parents are carriers of the mutation in the CFTR gene, the child has a 25% chance of inheriting both defective genes and 50% chance of inheriting the mutated gene that would bring about the complications of cystic fibrosis. 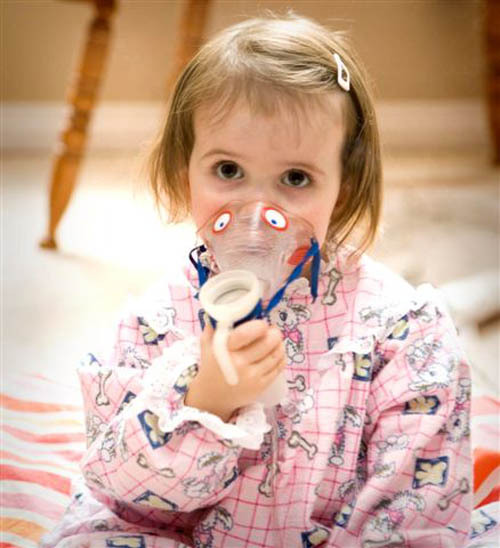 Environmental factors contribute to the severity of cystic fibrosis, as most genetic disorders are caused due to interactions between the genotype and environmental factors. For example, if an individual doesn’t consume enough calories, the prognosis of the disease is likely to be affected. These interactions might explain the difference in the disease’s manifestation in individuals with cystic fibrosis, although they might carry the same mutation in the CFTR gene. By understanding what causes cystic fibrosis, you’ll be able to look for a family history of the condition and subsequently opt for Cystic Fibrosis treatment measures.